We are offering Water Proofing PVC Sheet to our clients. 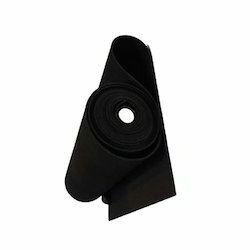 We put forth a superior range of waterproof ground sheets made from hdpe. The ground sheets offered by us also feature quality eyelets that allow these sheets to be tied down for purposes like providing shade and covering the harvest. Its water proof finish also ensures completely safe storage of the covered items. The sheet confirms to all requirements for non -reinforced black EPDM Rubber sheet for use in water proofing applications. - Waterproofing for RCC Roofs and Slabs, AC sheet roofs and gutters. - Waterproofing for overhead water tanks, underground water tanks, sumps, underground parking decks and basement cellars.